There are so many reasons to visit Burgundy and in particular its capital, Dijon. Come for the wine, or the amazing food, or the blissful country scenery. Whichever reason drives you to the area you will certainly leave feeling satisfied and curious for more. 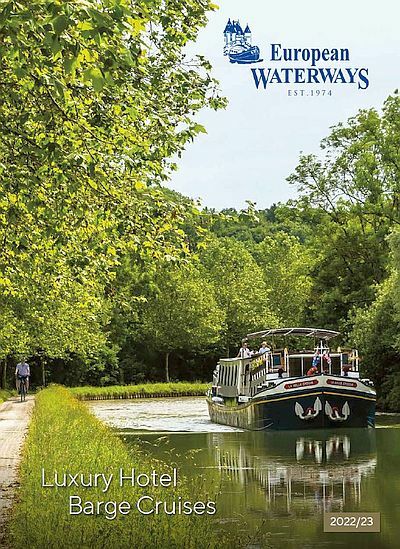 The ideal way to explore the region is via the stunning waterways that gently wind through the hills and valleys of the quintessentially French countryside. Climb aboard the luxury barge L’Impressionniste and you’ll discover Burgundy in the utmost comfort. There is hardly a part of France that cannot be described as ‘historic’; however, Dijon is a particularly fascinating and well-preserved historic town that gives you a comprehensive glimpse into life centuries ago. Upon arrival make a beeline towards the town’s oldest church, Notre Dame de Dijon, and seek out the endearing little owl that has been the city’s ‘good luck charm’ for over three centuries. With over 57 gargoyles adorning the facades, this stunning Gothic church’s exterior depicts the epic stories of the struggle between good and evil. Along with the wish-granting owl on the outside, the inside is home to an eleventh-century wooden Virgin Mary who is said to be able to work miracles. One cannot visit the city of Dijon without an encounter with its proprietary condiment. Burgundy’s historic capital has mastered the art of mustard making with time-honoured recipes and traditions that have grown over centuries. This world-renowned mustard gained popularity in 1336 when the traditional recipe was changed to introduce the use of vinegar. The resulting smooth tangy flavour has remained a favourite ever since. A visit to the Grey Poupon-Maille Boutique in the city is a fascinating (and tasty) way to spend a few hours. Samples of the many of mustard variations are on offer as well as a chance to hear more about the famous condiment’s history. There is no escaping the pride and excellence of Dijon’s gastronomic offerings. The city’s notable name obviously should lend one to some exploration of the region’s most famous condiment. Upon entering the city the historic Dijon Market truly does warrant your full attention for a few hours, if not the entire day! If it were possible to house all of France’s culinary delights under one roof it very well may look like Les Halles of Dijon. Sheltered under the ironwork frame designed by none other than Gustave Eiffel himself, the market is an adventure for the senses. Heavenly aromas of freshly baked bread, the freshest cheese and vintage wines greet you as you enter. The mind-boggling number of amazing items to see can be overwhelming. However, a slow wander through the vendors stalls stopping to sample their exquisite wares and submerging yourself in this particularly French passion may end up being one of the most pleasurable and memorable days of your trip. From the luxury comfort of your elegant hotel barge to the indulgent culinary sampling and the idyllic scenery, a canal cruise through Burgundy will certainly be one for the books. The countryside begs to be enjoyed by bicycle or on foot and the gently floating L’Impressionniste accommodates that perfectly. Enjoy what must be the epitome of ‘the good life’ aboard one of our Classic Cruises which will leave you relaxed and refreshed.